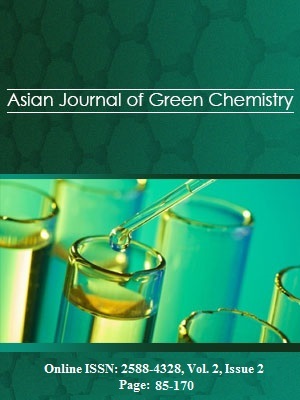 Aniline, phenol, and their derivatives are widely used in industrial chemicals that consequently have a high potential for environmental pollution. Genetic algorithm and partial least square (GA-PLS), kernel partial least square (GA-KPLS) and Levenberg-Marquardt artificial neural network (L-M ANN) techniques were used to investigate the correlation between chromatographic retention (log k) and descriptors for modelling the toxicity to fathead minnows of anilines and phenols. Descriptors of GA-PLS model were selected as inputs in L-M ANN model. The described model does not require experimental parameters and potentially provides useful prediction for log k of new compounds. Finally a model with a low prediction error and a good correlation coefficient was obtained by L-M ANN. 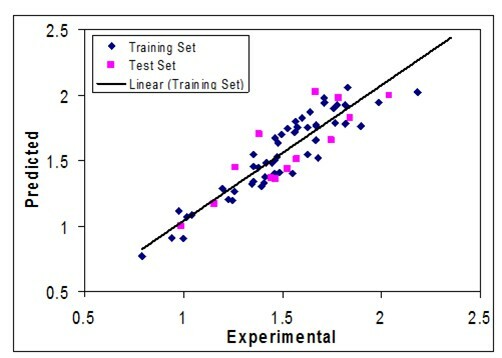 The stability and prediction ability of L-M ANN model was validated using external test set techniques.